When Forbush Man is murdered, could it be the beginning of a killing spree that's no laughing matter? Deadpool sure thinks so! 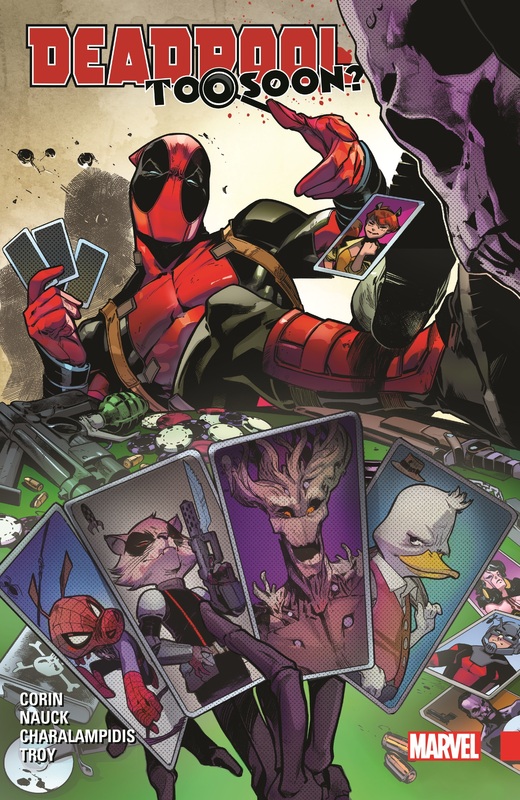 Things are about to get serious for Marvel's funniest characters as the Merc with a Mouth sets about saving hilarious heroes including Squirrel Girl, Rocket Raccoon, Groot, Ant-Man, Howard the Duck and…Punisher?! If that plot ain't nuts enough, brace yourself for Squirrelpool! As the bodies start to pile up, Wade and Howard investigate why their pals keep losing their heads — literally! Maybe Doctor Strange, Master of the Mirthful Arts, can work his magic and help put an end to this killing joke before Deadpool becomes the punchline! 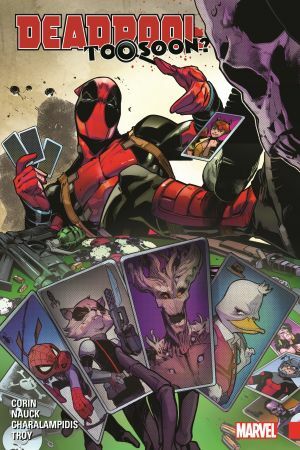 It's a Marvel Universe murder mystery that'll have you in tears — of laughter, or sorrow, or possibly both! 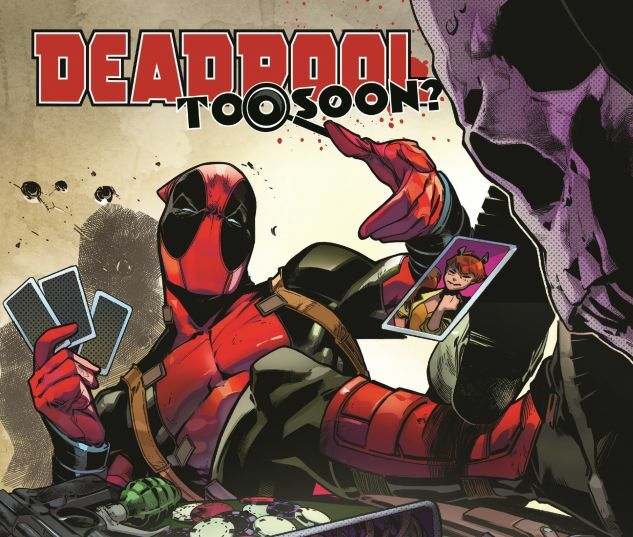 Collects Deadpool: Too Soon? #1-4 & Gwenpool Holiday Special: Merry Mix-Up 1 (Deadpool story).